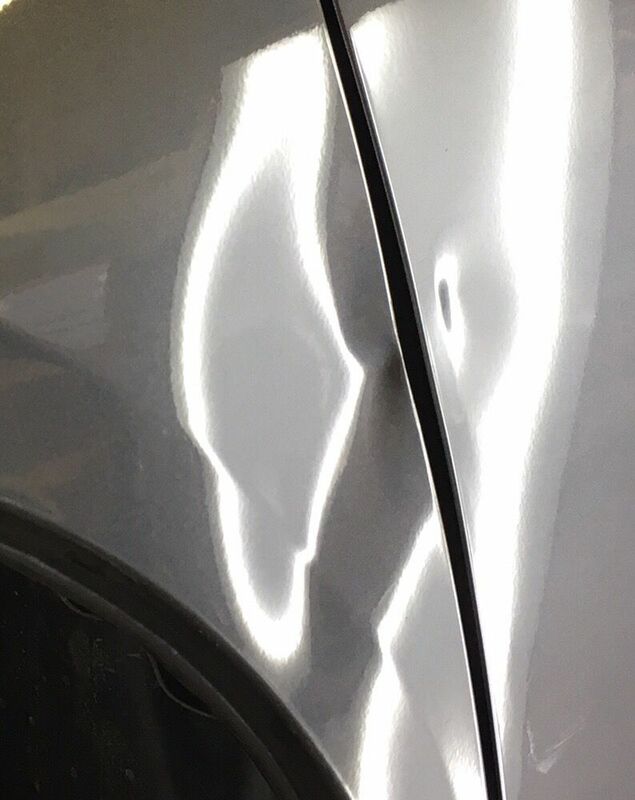 Before and After 10 - Paintless Dent Removal Body Shop in San Jose Ca. 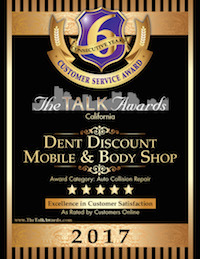 Dent Discount Mobile & Body Shop provides mobile services to San Jose, Santa Clara, Mountain View, Palo Alto, Campbell, Cupertino, Los Gatos, Milpitas, Fremont, Saratoga, Sunnyvale. $39 starting on Mobile Paintless Bumper Dent Repair and Small Car Paintless Dent Removal in San Jose Silicon Valley San Francisco Bay area surrounding Area. Auto Ding Repair Paintless Dent Repair is a process that restores metal back or plastic bumper covers to its original condition without disturbing the factory paint finish. 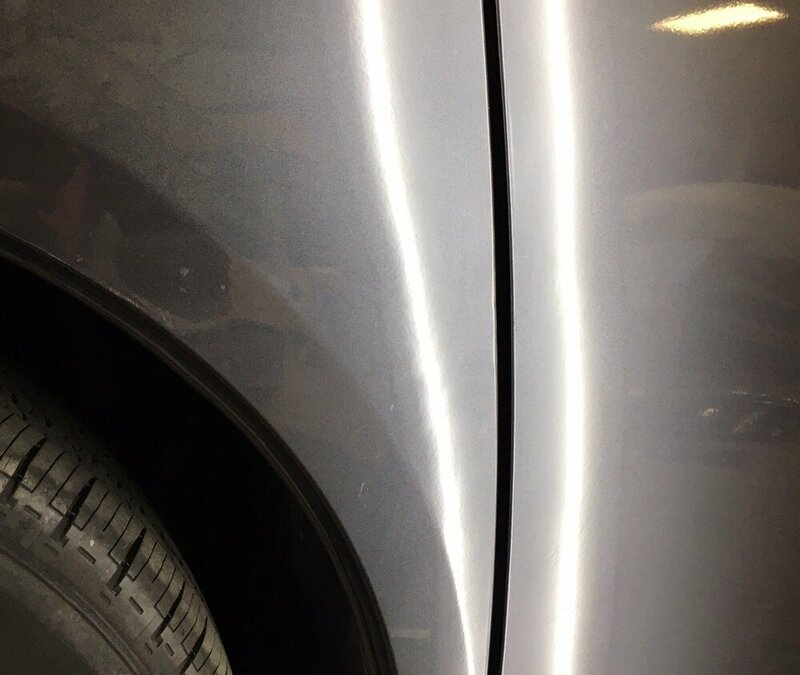 Our Bumper Dent Repair or Door Ding Repair there is no body filler or repainting needed, there is no down time, no rental car, no risk of paint overspray; no risk of incorrect color matching; and your vehicle retains the original paint which is always preferable for the value of your car. 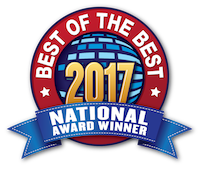 For a fraction of what you would pay a traditional body shop, We can restore your car to its factory condition at your home or work, while you wait. We at Dent Discount Mobile Dent Removal are here to make this whole experience for you as quick and painless and paint less as possible. We make it so easy, we come to you. Give us a call for a free estimate.